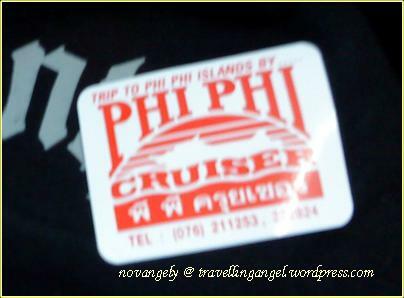 The ferry I took is called Phi Phi Cruise. It’s quite big. I chose to sit inside by the window, thought it would be the place where people won’t bother u so I could sleep, but my oh my.. it was freezing there. Apparently the Air-Con is just above my seat. I didn’t feel wanna move from there so I just wore my jacket, put my hood, snuggle like a cat finding a good position to take some rest. 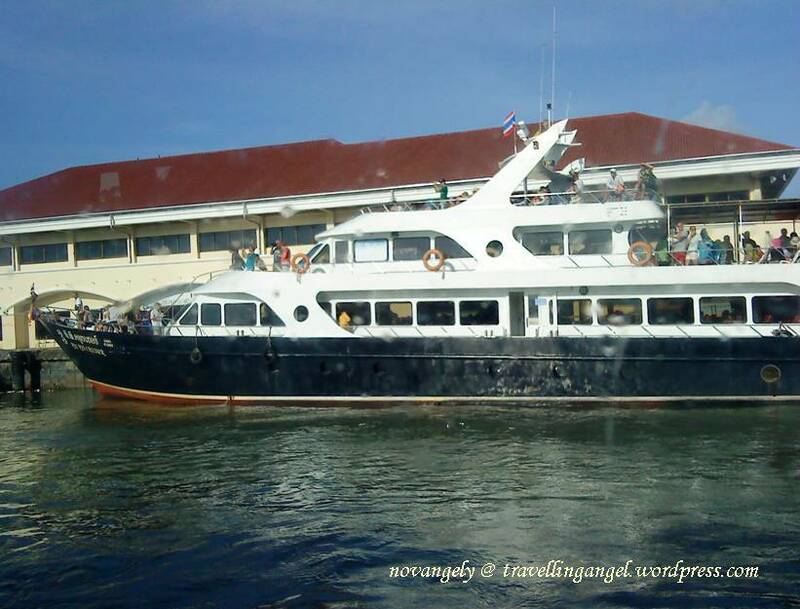 The boat left Ratsada pier around 8.30-9am and took about 1.30-2 hours to reach PhiPhi island. 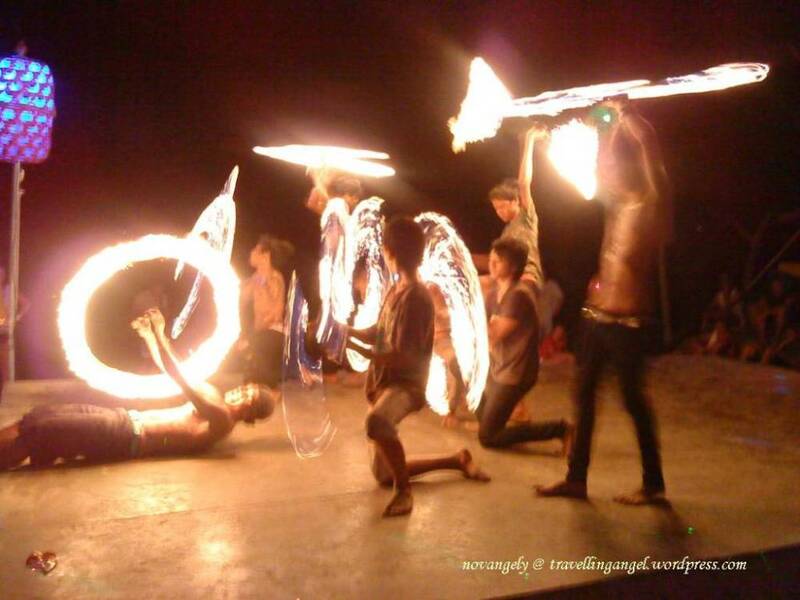 We were welcome by people collecting 20baht admission fee and who offering accommodation. I got a map and some reference from a friend I met in Phuket so I ignored the crowds and started strolling down to the left side of the pier. 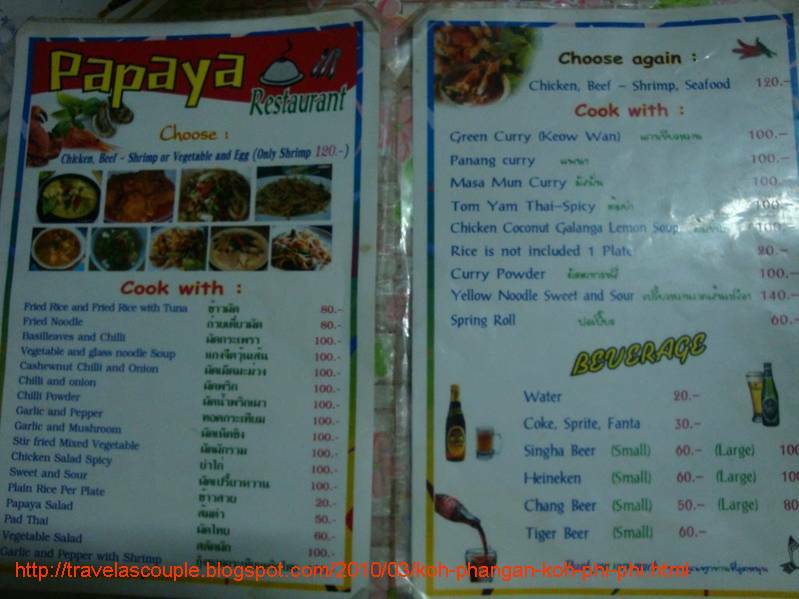 There is this Chong Khao Bungalow, heard it is less than 800baht. I found this bamboo bungalow but I couldn’t find the receptionist. So I decided to go and check other recommendation on the other side of the island (right side from pier). It is about 10-15min walk. 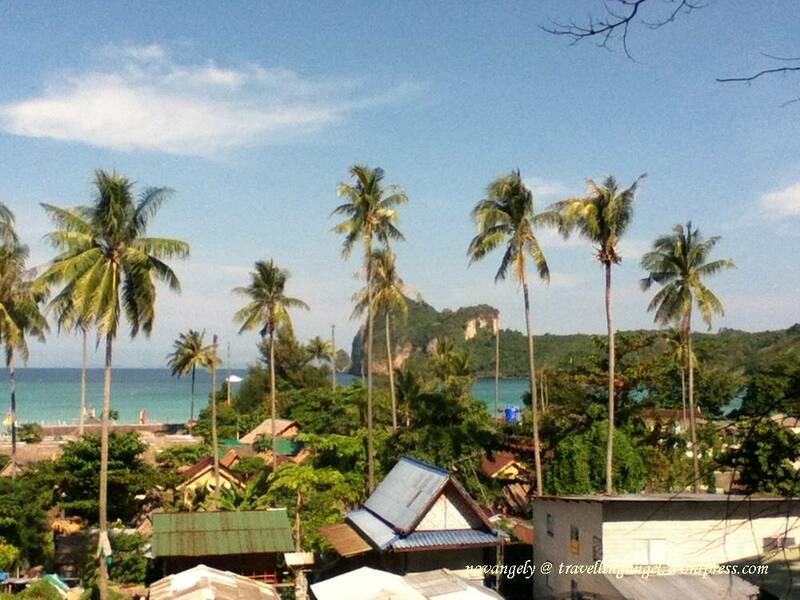 I found the gypsy village but it was 900baht. So I checked other places for comparison and I went to Valentine bungalow, Pongpang house, Harmony house, Sacha guesthouse etc but they were all full. Wow, it seem I was still in high season. Then I saw The Adventure Club shop, the agent I plan to take snorkeling trip with. So I just went there to book the trip for the next day while catching up my breath. It was a long walk carrying 35lt +10lt backpack. The person in that shop noticed it and was kind enough to let me leave my backpack there. He suggested me to try The Rock Backpacker too. I was a bit not interested staying in the dorm. 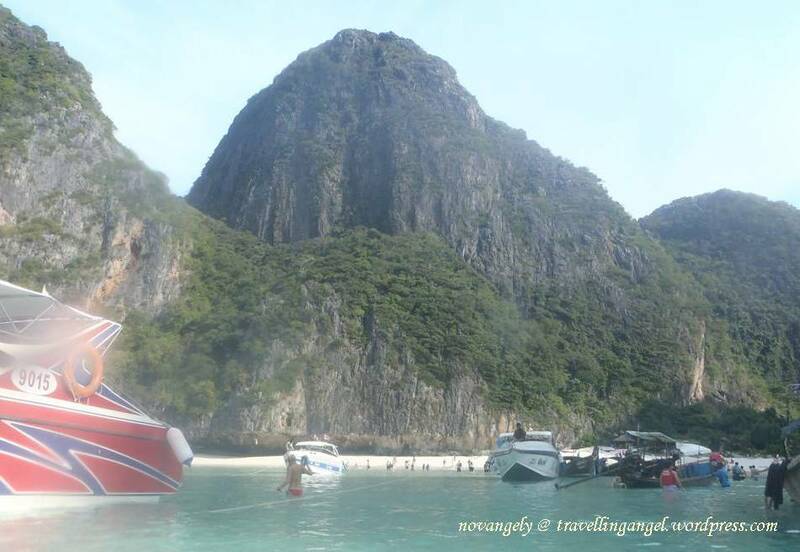 I also heard that The Rock is always fully occupied, many people wanna stay there. But when I checked, they had available bed. Thinking that it might take an hour and long walk to find other place, I just took it. 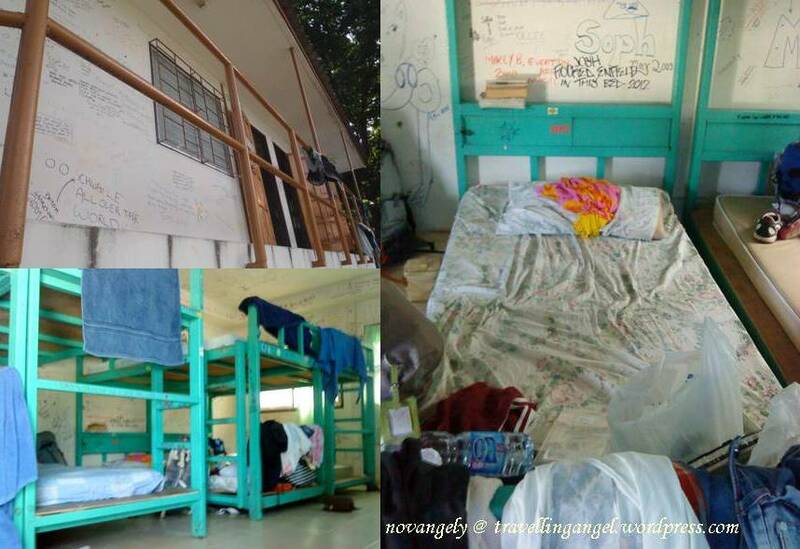 It costs only 300baht for a bed sharing with other 13 guests in the same room. There is a high stairs to climb to reach the dorm. The room doesn’t look clean and full of hand writing in the wall and ceiling with bunks close to each other.. Fuuhhh, that was pretty challenging experience for me. 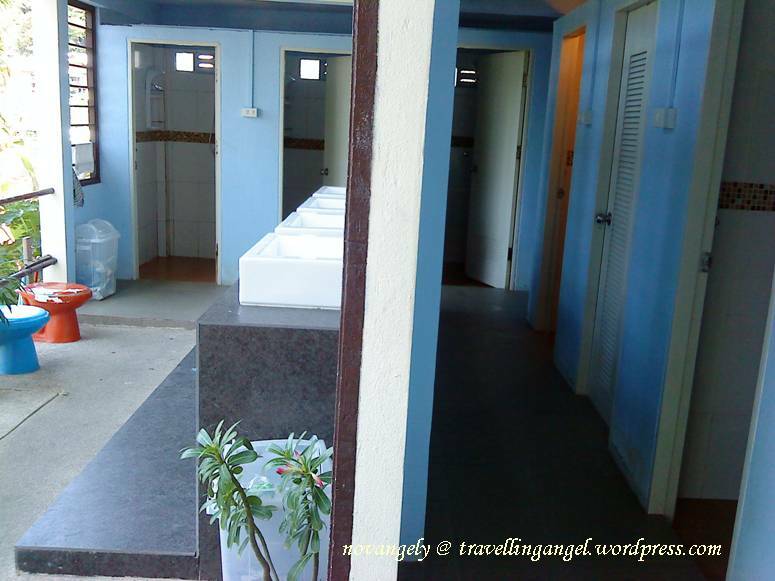 But despite of that fact, apparently they have a very clean bathroom, much much muuuccchhhhh better than the dorm ^^ lucky me!! I put my backpack and started to find supply, drink, and meal. 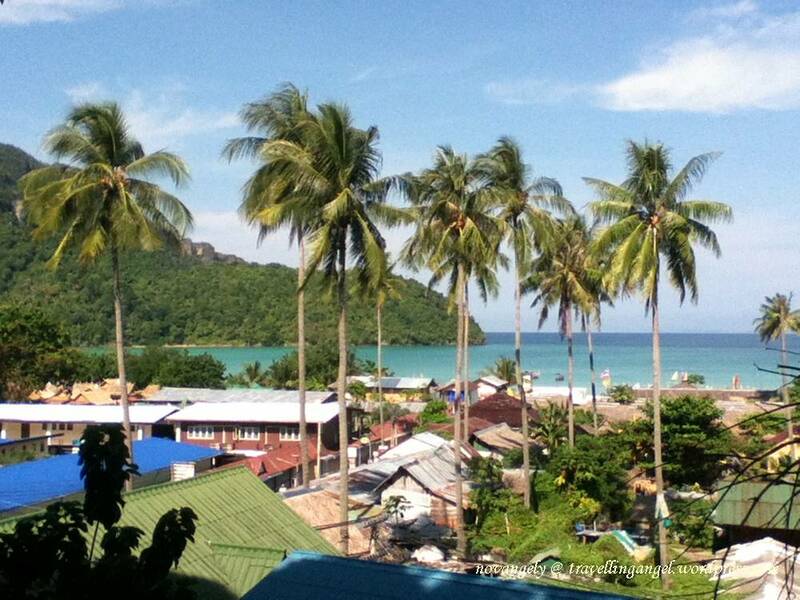 I ate at the local market in the center, in front of Phi Phi Insula guesthouse. 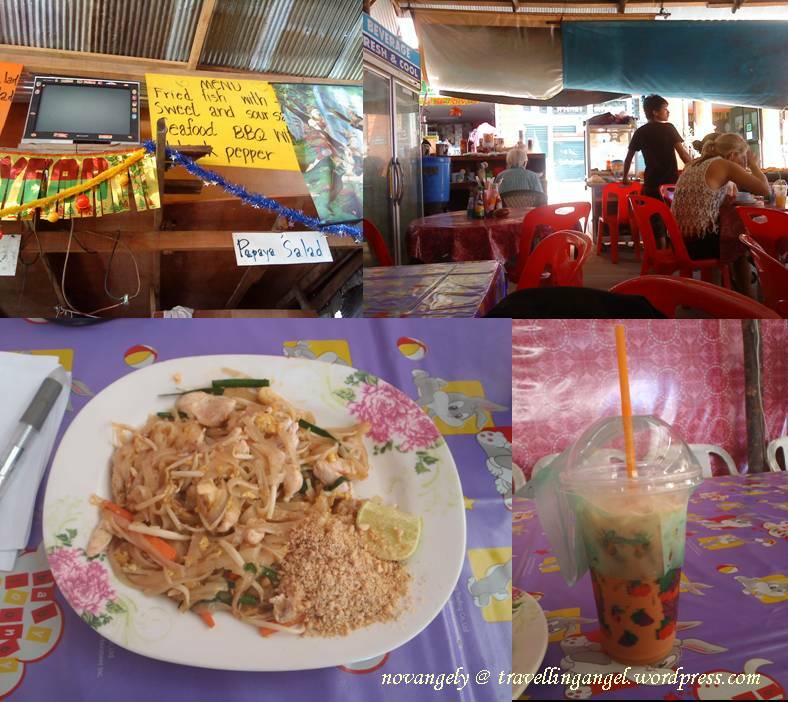 The 50baht Pad Thai wasn’t bad. The 50baht Thai Tea wasn’t bad either. Those are not bad but honestly, with total of 100baht, I can get a better food in Jakarta. Gosh.. apparently it is more expensive in Thailand than Indonesia. My friend told me that Thailand was cheaper than Indonesia, but I forgot that they only visited the city/Bangkok. So I just knew that my meal budget were gonna get doubled. After lunch, I wanted to check out some places include the viewpoint but I was so sleepy. So I just went back to my dorm and took a nap. 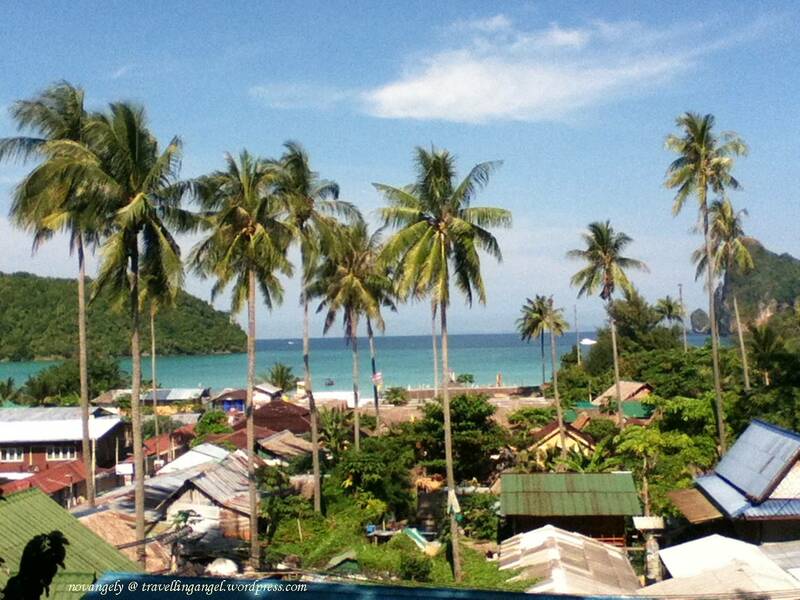 In the afternoon, I went to buy the joint ticket to Koh Phangan and went to the beach to take some shots. Quite many people took sun bathing there. Tired of walking, I chilled out in Cosmic Restaurant. I was confused between Cosmic Restaurant and Garlic Restaurant. I thought Cosmic was cheaper but later on, I found out I was wrong ><” But it’s a nice place to chill out during afternoon, drinking fruit shake and taking advantage of their fast wifi. 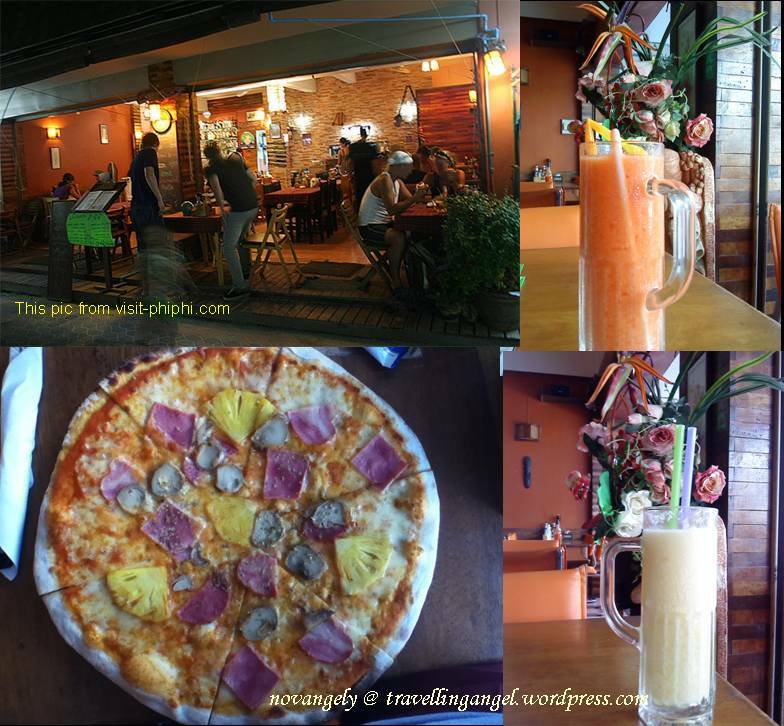 The fruitshake there is 50baht, pizza is about 180baht I guess. At nite, we hangout by the beach and met another friend from Ireland. What a nite!! I started my day late <but it was an early start according to my friend>. I went out for brunch with her at Cosmic Restaurant again. This time I tried their pizza and it was not bad. 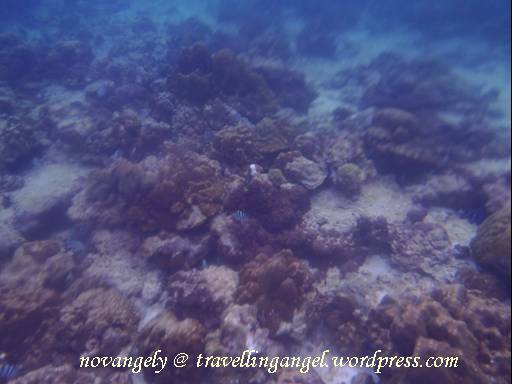 That day we planned to take snorkeling trip to Koh Phi Phi Ley. I had booked mine with Adventure Club for 800baht,while my friend got 250baht with free whiskey bucket ><“. I cannot think myself how they manage to sell it in such a low price, but then I realise. My trip is max. 6people on the long tail boat while my friend’s has 12-15 people on that small boat. Apparently we had to check carefully why the price can be so much different. Also for ticket etc. I found out later on that my friend got 650baht for joint ticket to Koh Phangan for 10:30 departure while mine was bought for 750baht for 9am departure <for ticket, I prefer cheaper and not morning departure>. Later that day, I finally found the location of Garlic Restaurant.. Stupidly to know that it is just few steps from my hostel. 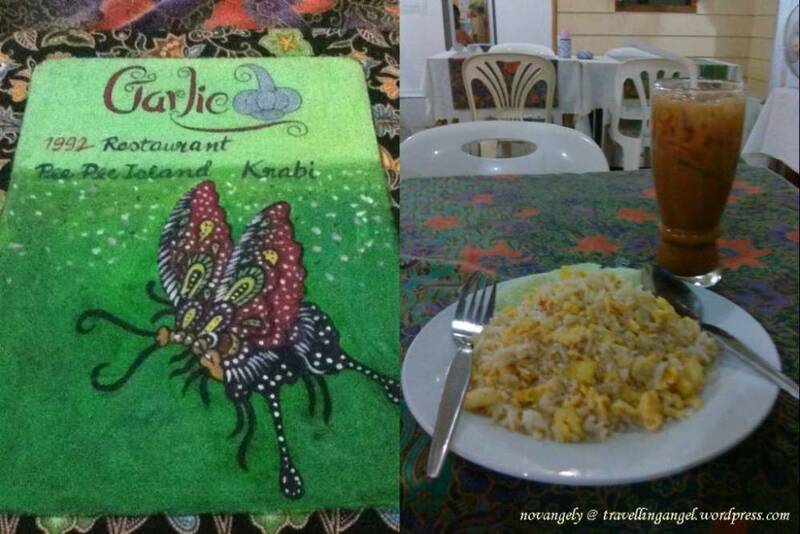 The food (pineapple fried rice) is good and cheaper than Cosmic Restaurant ^^/ there is wifi too but I didn’t try it.